Katharine Andrews Interiors (KAI) is a full-service interior design firm specializing in high-end residential interior design, interior architecture, and historic renovation. By artfully fusing traditional architecture with contemporary design elements, KAI creates captivating interiors that are impactful and endure the test of time. When presented with a design challenge, KAI uses a methodical approach to implement comprehensive design solutions thereby meeting clients’ needs while fulfilling project objectives. Collaboration with all team members is imperative to producing a successful outcome. We value genuine connections with our clients and make it our mission to build long-term relationships. KAI successfully transforms interiors through the meticulous manipulation of scale, proportion, light, color, texture, furniture, fixtures, and architecture. Informed design decisions are achieved by using a multi-disciplinary approach. The result is a timeless, well-appointed, versatile space that perfectly complements each client’s specific needs and lifestyle. 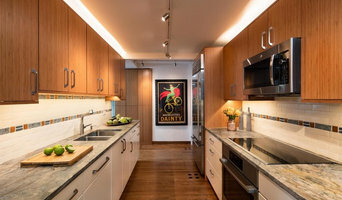 I specialize in residential interior design, as a professional member of ASID, and am NCIDQ-certified with nearly 20 years of design experience. I can help you update your current home or start from scratch with your custom or new home. All sizes of project are welcome, from hourly consultation to overall home design. A Chicago based interior design studio, founded by Demetrius Robinson. Savvy Settings Home’s mission is to cultivate interior design solutions tailored specifically to the needs of our clients and their personal aesthetics. We believe that everyone deserves a well-designed home that serves as their oasis retreat away from the "real world!" Our team is dedicated to delivering the best completed projects within budget and on time alongside providing our clients with first-class customer service. We view the journey of working with an Interior Designer as a collaborative effort between our clients and our design team. 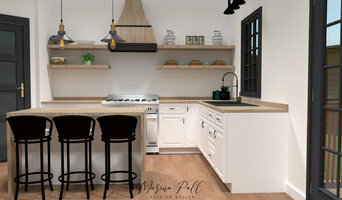 We utilized our expertise, extensive network of exclusive design resources and connections with vetted contractors to bring our clients interior design dreams to life! 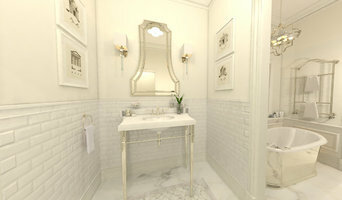 Chicago based Interior Designer; Best of Houzz, Deb Reinhart ASID believes interior design matters. Distinguishing homes for over 25 years, Deb Reinhart Interior Design Group has earned the reputation for dedication to clients and improving the use of space with distinctive and uncommon furnishings and artifacts. 'How do you want to feel in your home?" is a starting point for all clients. From a whole house renovation to a single room remodel, her design team starts with the client's personal history and style as the basis for a captivating and inspired interior. Known for her wide range of creativity, and personalized service, Deb designs spaces which are approachable and sophisticated to be filled with people and things they love. 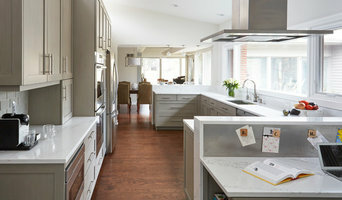 "I love walking into my home" is a statement often used by her clients. Deb Reinhart ASID. ' I would love the opportunity to create a space that is uniquely yours' Please call our office phone at 847-256-9510 for inquiries and questions. Chicago Area's Experienced Interior Design Firm - Best of Houzz 2018! Each project allows us to build on the spirit that inhabits every space. From melding modern art and landscape for a spectacular desert oasis, to restoring Chicago’s Shubert Theater in all its gilded glory, you’ll see our capabilities stretch well beyond décor. Explore the sweeping range of distinctive designs that are as unique as the clients who inspired them. MJM Interiors works with every client, no matter how small the budget, to create a space they love. The experience begins with an in-home consultation. At this time clients can express their needs and wants. Rooms are measured and a plan of action begins to take shape. Contact us today and discover what we can create together. From city spaces large and small, to projects in suburbs all around Chicago, MJM manages to meld both the functional and aesthetic needs of the clientele. Mary has an endless supply of energy and she truly strives to make both the experience as well as the end result something that brings the client joy and peace of mind. The designer fee is $100/hour. Interior design for your dream environment! We work to give you the space you have always dreamed of. Our services range from AutoCad plans for architectural details, kitchen and bath design, hardware and plumbing selections, lighting selections and much more! We also provide furniture selections and services for the finishing touch. Exclusive Jim Bishop cabinet supplier for full custom designs. Great design should be accessible, that’s why we work with a range of budgets and tailor our designs to the individual client. Kelly Cleveland is founder and creative director of her namesake company, specializing in high-end interior design. For more than 20 years Kelly has been involved in all aspects of the design field. From planning to production, vision to design, and contracting to fulfillment – Kelly provides the know-how and the leadership to design your home on time, on schedule and on budget. Kelly loves nothing more than finding that one ‘landmark’ piece for your home. An intrepid explorer, she is as comfortable shopping in Paris’ flea markets as she is trekking mountain gorillas in Uganda. Some of her favorite experiences include: strolling through the vineyards in Tuscany, tracking down Caravaggio paintings in Rome, wandering Crete’s village markets, hiking the windswept plains and dynamic glaciers of Patagonia, SCUBA diving with hammerheads and sea lions in the Galapagos Islands and following the annual ‘Migration’ through the Masai Mara in Kenya, East Africa.